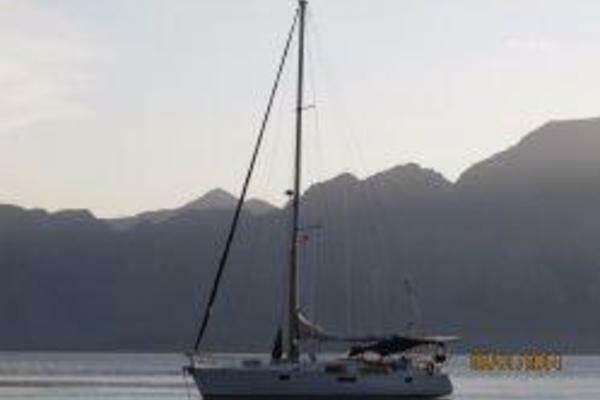 THE PLEASURE WILL BE ALL YOURS ON "SHEER PLEASURE"
AN ABSOLUTELY BEAUTIFUL ISLAND PACKET 44! NEW $15K PRICE REDUCTION - DON'T MISS THIS ONE! “Sheer Pleasure” has been lovingly maintained and it shows! This is a lot of boat for the money. Well-equipped for cruising and well-appointed for enjoying a nice anchorage. If you’re looking for a classic blue water cruiser in excellent condition and at a fair price, this is it! 2016 Survey available upon request. The Dodger and Bimini are almost NEW and in excellent condition. Textilene panels complete a Full Enclosure of the cockpit.